SOA वॉलपेपर - Happy. 1440x900. 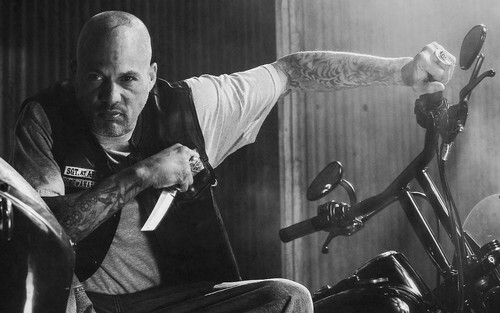 HD Wallpaper and background images in the सन्स ऑफ अनार्की club tagged: photo sons of anarchy wallpaper widescreen season 7 david labrava happy. This सन्स ऑफ अनार्की wallpaper contains ढंढोरची, ढोलकिया, and संगीत कार्यक्रम. There might also be गिटारवादक, गिटार खिलाड़ी, गिटार प्लेयर, तबला, टकराता हुआ साधन, टक्कर उपकरण, टकराव साधन, tympanist, टिंपनिस्ट, टाइम्पेनिस्ट, टाइम्पिनिस्ट, and timpanist.